The shelter is open 24/7 all year around. Our main office is open from 9:00am-5:00pm Monday through Friday. Since 1948, Modesto Gospel Mission has provided nutritious meals, warm beds, and a place of safety for thousands of poor and homeless men, women, boys and girls.We shelter 2,000 men, women, and children each year. 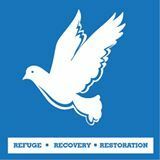 We offer shelter for men; men with children; women; women with children; and, as available, families. We also partner with a local animal shelter for the family dog to be sheltered. Hello im currently looking for aplace to live for a couple of months for my family of 7. My wife Julie recently got hired on working grave yard and work started to pick up for me. However my current landlord sold the house im renting and my time hear is almost up. New landlords move in April 1st. My wife and i applied to places the last 40 days and payed the application fee hopping they wouls go threw but no luck. I tried family but theyre unable to help. So now im hopping that i can get assistance from hear. Again it wont be for long just so that my wife and i can accumulate enough for a place of our own. Thank you for listening.